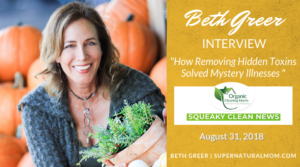 Beth Greer had been living what she considered a healthy lifestyle when a medical crisis prompted her to reevaluate everything—from the food she ate to the personal-care products she used and the environment she lived in. 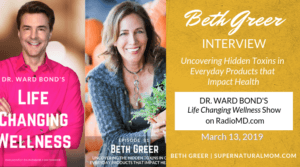 Now, in Super Natural Home, she shows the alarming extent of the dangerous chemicals we unwittingly expose ourselves to every day. As she did in her own life, she invites readers to put their lives under a microscope—to scrutinize what Americans put in and on their bodies and bring into their homes—and to make personal choices that will enable them to “live clean” in a toxic world. 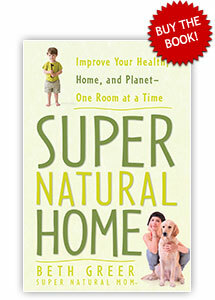 The straightforward, solutions-based approach of Super Natural Home— complete with quizzes to help identify and correct potential toxic hot zones—speaks directly to what environment-conscious consumers really need: ultra-practical advice on what they can do right now to limit exposure to the poisons that are endangering them and their children. At a time when impeccable scientific research points to an alarming correlation between common chemical compounds and cancers, allergies, psychiatric disorders, and birth defects, among other serious health concerns, Super Natural Home gives consumers the tools to start protecting themselves and their families. “Every once in a while, I’ll read a book so filled with helpful information that I want to remember every single thing it says. 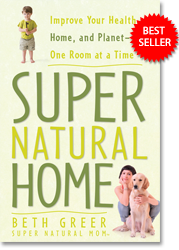 Super Natural Home by Beth Greer is that kind of book. 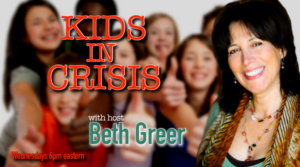 Each chapter in the book is loaded with tips, stories, inspiration, and enough facts to arm consumers for battle. And it is a battle, truly.